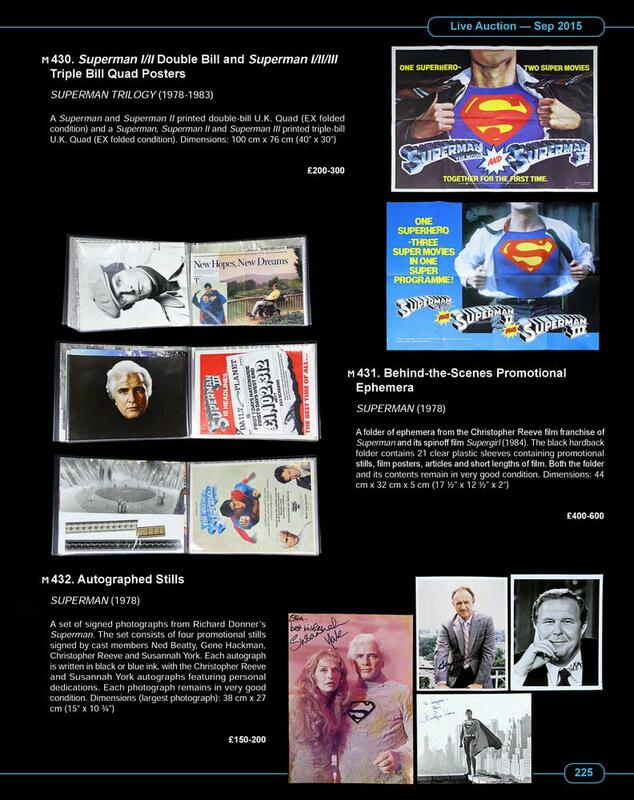 Going under the gavel in in a matter of days and currently on display at the IMAX Odeon in London’s Waterloo, this unprecedented collection of production/screenused treasures from the series of Superman films is presented in catalogue form by Propstore here on SUPERMANIA. 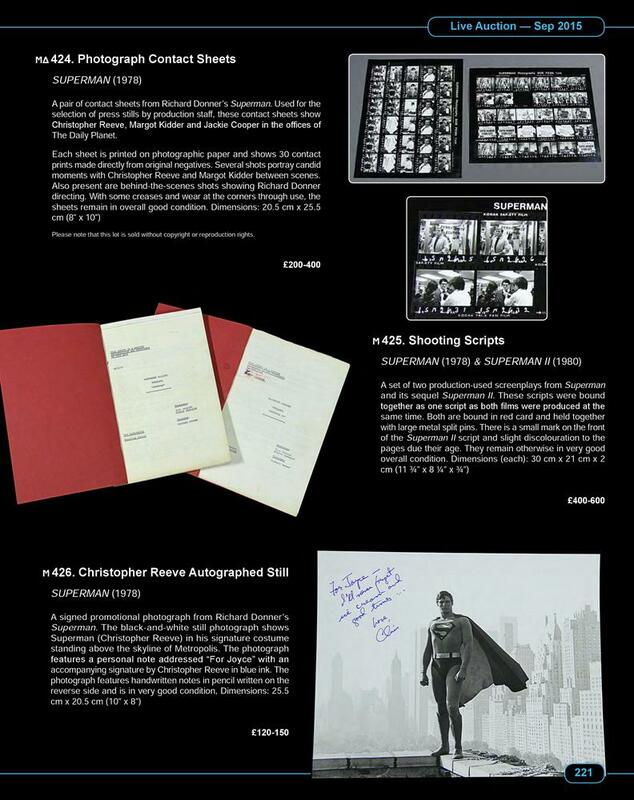 High-end pieces all with estimates set to suit a modest or high budget, this gathering of production ephemera and screenused props represents the finest collection of Superman related material to hit the market since the Ilya Salkind collection was offered by Profiles in History in 2007. Chief among the lots is the full-size Starship ruin from Superman IV: The Quest For Peace, first positively identified and documented on SUPERMANIA here and presumed lost to storage after the closure of the London Film museum in 2013. 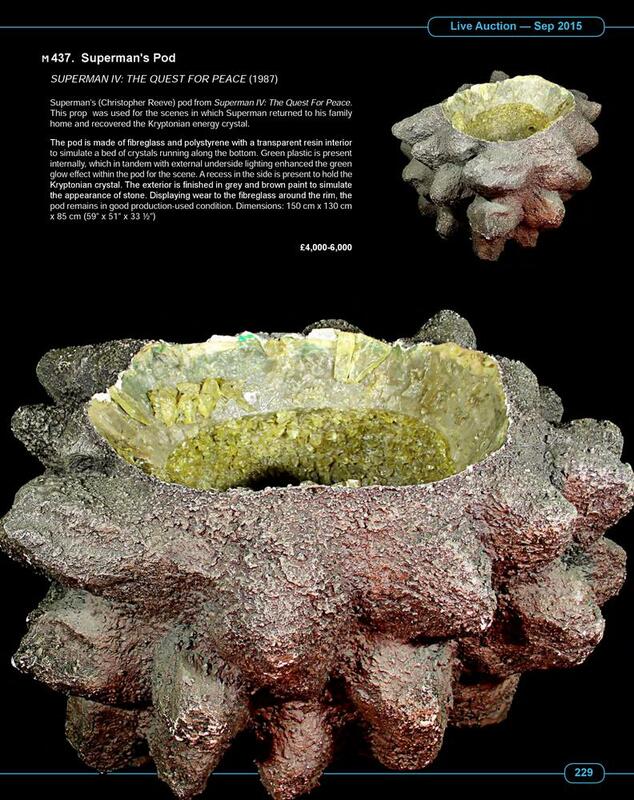 ‘Superman’s Pod’ was obtained by Propstore and now offered in exactly the same condition as it was seen on display (then incorrectly listed as originating from Richard Donner’s Superman: The Movie) and is a completely unique piece of Super-history. 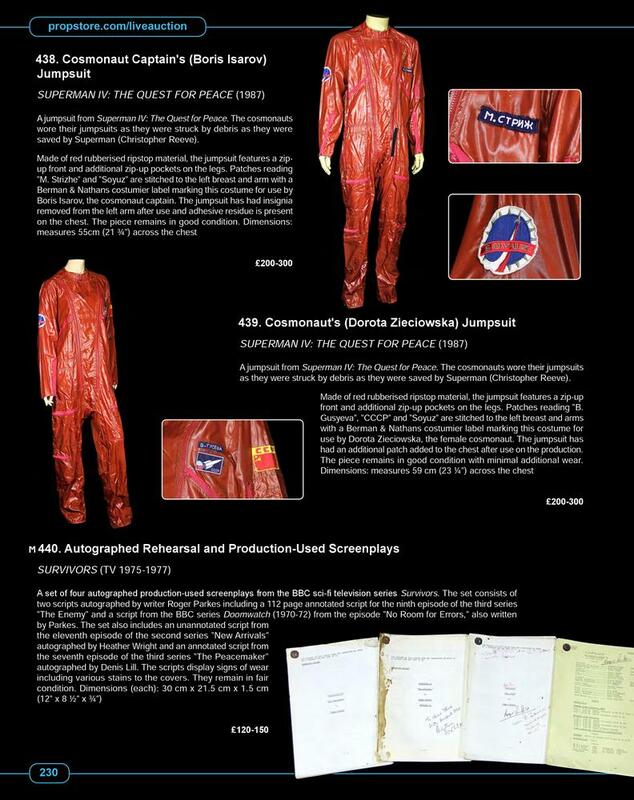 Other highlights are the Cosmonaut suits (made by costumiers Bermans and Nathans) from the opening scenes of Superman IV and storyboards from Superman III. 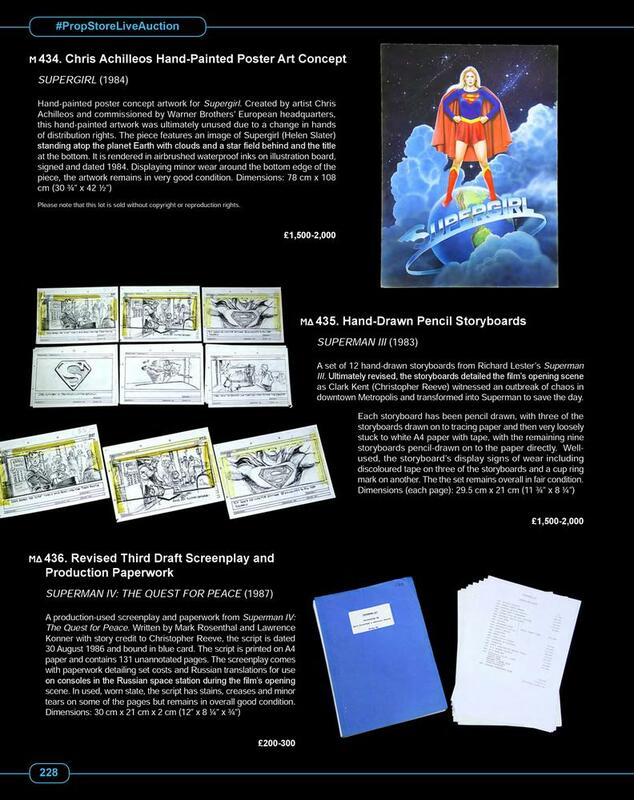 Fans of the original movie and its sequel are catered for also by a pair of scripts and photographic contact sheets and even Supergirl is represented by a superb piece of (ultimately unused) concept art by Chris Achillieos.